Good emotional health and wellbeing are key factors in the successful development of children and young people. Over the past 10 years, the Charity has seen a growth in the number of applications that fall under our Emotional Wellbeing Programme Area, and in particular over the past seven years after the launch of the Charity’s Schools in Partnership Fund in 2010. Since 2010, the Charity’s expenditure on projects supporting the emotional wellbeing of children and young people has tripled. This reflects the more complex needs displayed by children and young people today the changing attitudes to supporting mental health, particularly within schools and also the impact of the reduction in other services that are available for young people. The Charity is careful to support only good quality interventions that seek to address the complex issues and challenges faced by children and young people that are outside the capabilities of the Child and Adolescent Mental Health Service. We will only fund services that are delivered by qualified practitioners and those that take place in a dedicated setting or within a school. In 2010, the Charity launched the Schools in Partnership Fund that is open to all state schools in the Beneficial Area. Schools have to work together to put in a joint application for an intervention to address the needs of an identified group of children or young people. What has quickly become evident isthat schools are demonstrating a need for good quality therapeutic interventions to help plug gaps left behind following the demise of the Extended Services Agenda and to meet the needs of their pupils. The majority of applications that we receive from schools under the Schools in Partnership Fund are for projects to support the emotional wellbeing and resilience of students. For more information on this Grant Fund, please click here. In addition to supporting schools to buy in specialists to work with their pupils, the Charity also funds front line delivery services. Founded in 2009, Strength in Horses (SiH) provides qualified clinical psychologists alongside trained horse professionals to offer Equine Assisted Psychotherapy to vulnerable children and their families with social and behavioural difficulties and mental health needs, most of who come from deprived inner-city areas. John Lyon’s Charity has been supporting the organisation since 2014, having awarded nearly £195,000. The young people and families that SiH supports are unable to engage with therapists or professionals in a conventional way. Based in Barnet, this alternative approach equips them with skills to manage their behaviour and avert mental health problems later in life, as well as helping young people to re-engage with formal education and enhance their access to education, training and employment. This project is not about horse riding; equine therapy provides young people with the tools to develop their awareness of appropriate social and emotional health and behaviour and help them address their own mental health needs. In 2017, Strength in Horses was selected to receive a promotional film about its work as part of the JLC Volunteer Films initiative in partnership with Media Trust. Established in 1967, the Brent Centre for Young People (BCYP) is a well-established resource for local young people. The Centre works in innovative ways to provide tailored mental health treatment and support, specifically to adolescents and to conduct research into adolescent breakdown. We have been supporting BCYP since 1994 with grants totalling over £620,000. Services at the Centre are accessible and effective and offered both ‘in-house’ and at outreach locations. Beneficiaries are generally aged between 14-24 years old and are mostly from disadvantaged backgrounds. An important part of the Centre’s work is in partnership with other organisations that work with young people. They currently have partnerships with eight secondary schools in Brent, the Pupil Referral Unit and with the Youth Offending Service. BCYP offers psychotherapeutic services, Adolescent Exploratory Therapy (a short-medium term low intensity talking therapy), Adolescent Psychotherapy and Family Therapy. BCYP is particularly committed to working creatively to engage hard to reach young people in order for them to receive a high quality, effective and holistic service. Referrals are made through GPs and through the Brent Child and Adolescent Mental Health Service (NHS), Social Services and other young people’s services in the borough. Young people can also self-refer. BCYP runs an after-school service targeted at young men with challenging behaviour using football training as a tool for thinking about their emotions and responses to others. The services offered by BCYP are accessible and without the stigma that statutory services can sometimes represent. This promotional film about Brent Centre’s work was funded by John Lyon’s Charity as part of the Volunteer Films project in partnership with Media Trust. Place2Be was established in 1994. It first came to the Charity’s attention in 1998 and was awarded a grant of £15,000 towards a programme in Carlton Primary School in Camden. Since that time, John Lyon’s Charity has supported a number of initiatives with Place2Be directly in schools throughout the Beneficial Area. In June 2012 we enabled a cluster of 11 primary schools in Ealing to access Place2Be services and in November of the same year, supported a cluster of 12 primary schools in Brent. 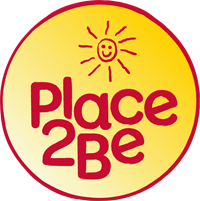 Place2Be provides therapeutic and emotional support to vulnerable children and their families through a model that is embedded within schools communities. It addresses the causes of emotional and mental health problems before they have a long-term impact on children’s development, removing the emotional barriers to learning and achievement and preventing the downward spiral that can lead to low aspirations, poor educational attainment, truancy and exclusion from schools. The model avoids stigmatising children and their families and works throughout the school community to improve the response to the issues that children present. Place2Be has well documented success in having a direct impact on keeping children in school and contributing towards their resilience and capacity for learning. They offer a flexible range of services including one-to-one long and short-term counselling, group work, circle time and a drop-in, “Place2Talk”. There is also focussed support for parents and “A Place2Think”, a consultancy offered to school staff to support concerns that they have about individuals or groups of children and aiming to increase the emotional literacy of the whole school. The Anna Freud Centre in Hampstead is dedicated to children’s emotional wellbeing. Its innovative clinical services provide treatment for children and support for their parents. As a centre of learning it trains professionals to work with children and carry out pioneering research into effective ways to help young people suffering emotional distress. Since 1994, the Anna Freud Centre has received over £270,000 from John Lyon’s Charity. We are currently funding the Centre to roll out is Multi Family Group programme, pioneered by the Anna Freud Centre, to schools in the Charity’s Beneficial Area. The Multi Family Group programme seeks to improve the emotional, mental health and academic outcomes for children and young people with complex problems. 30 schools in the Charity’s Beneficial Area will take part. The model has been developed over a period of 30 years and is now an accessible and non-stigmatising psychological support to children with disruptive behaviour, hyperactivity, poor impulse control, social difficulties, erratic school attendance or who are depressed. It is designed to help those who are frequently at risk of exclusion, giving access to psychological help and working to improve relationships with families and school. There is also a focus for teachers, who have often been struggling to persuade parents to accept referral to other services. John Lyon’s Charity has drawn up some guidelines for therapeutic projects within school settings. Please click here for more information.